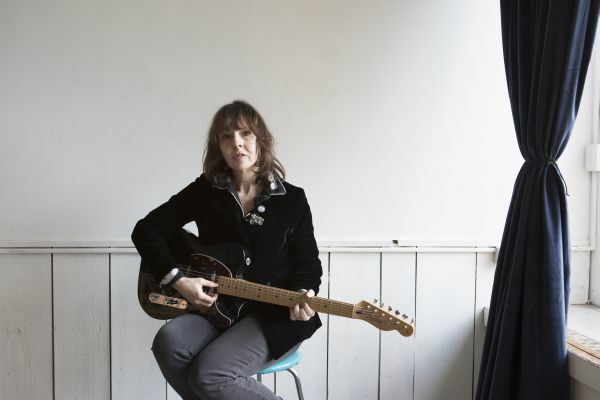 Renowned upstate NY-based singer-songwriter Amy Rigby has added to her formidable musical canon with last year’s release of The Old Guys album, her first solo album in a dozen years. Acclaimed by critics and peers alike, the 12 tracks are stamped with Rigby’s distinctive vocals and on-point lyrics. Wreckless Eric contributed to the LP and recorded it in Catskill, New York. The Old Guys is the sound of a good girl grown up, but never giving up. Amy Rigby has made a life out of writing and singing about life. With bands Last Roundup and the Shams in the ’80s in NYC’s East Village to her solo debut Diary Of A Mod Housewife out of ’90s Williamsburg; through a songwriting career in 2000s Nashville and during the past decade with duo partner Wreckless Eric, she’s released records on visionary independent labels Rounder, Matador, Signature Sounds, and reborn Stiff Records, as well as her and Eric’s own Southern Domestic Recordings. For the last 23 years, Rigby has toured the U.S., Canada, the U.K., and Europe. The Big Takeover is proud to host the premiere of Rigby’s latest track, the potent and relevant protest song “The President Can’t Read.” The number features Rigby and Eric on vocals cutting sharply and directly, but melodically through strongly strummed guitar lines, a pushing bass line, and punchy drum beat. Their clear and direct singing brings the scathing, timely, and true lyrics into high relief. Southern Domestic will release a studio version of “The President Can’t Read” on February 1st. The song will be available to stream and/or download and as a limited edition CD single. Listen to “The President Can’t Read” ahead of the much-delayed State of the Union speech, which occurs on the same night Rigby is playing The Mercury Lounge – Tuesday, Feb 5th (and go see Rigby perform instead of turning into a zombie in front of the screen! ).